Washington last week banned electronic devices bigger than mobile phones on direct flights to the United States from 10 airports in seven Middle Eastern countries and Turkey. MONTREAL: British and US bans on laptops and tablet computers in the cabin of flights is not sustainable in the longterm, the head of the association representing airlines said Tuesday. "The current measures are not acceptable as a long-term solution to whatever threat they are trying to mitigate," said Alexandre de Juniac, director general of the International Air Transport Association said Tuesday. "Even in the short term, it is difficult to understand their effectiveness. And the commercial distortions they create are severe," he said in a speech in Montreal. "We call on governments to work with the industry to find a way to keep flying secure without separating passengers from their personal electronics." Britain followed with a similar ban from five countries from the Middle East, northern Africa and Turkey. 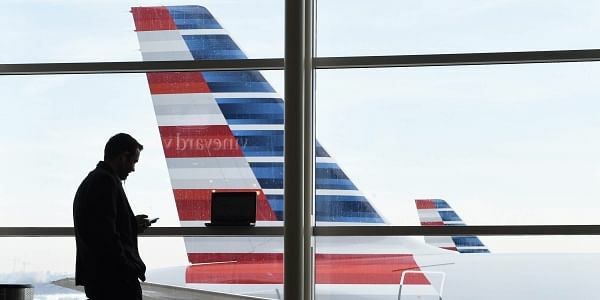 US officials said the measure was intended to thwart possible attacks on airliners with small explosive devices hidden in consumer electronics. In theory, it would be harder to hide a bomb in checked luggage because these are usually scanned with more sophisticated equipment.